The band's famous album is newly-remastered, with previously unreleased live and studio recordings, music videos and more. The five-CD/DVD set highlights rare acoustic performances recorded over the past 20 years. Face it: They weren’t called “hair” bands for nothing! 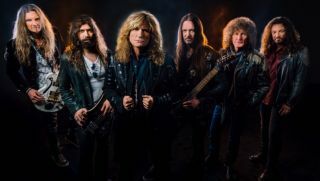 Whitesnake Premiere Music Video for Their Cover of Deep Purple's "The Gypsy"
Whitesnake Premiere New Cover of Deep Purple's "Burn"